Holmes Rolston III, pioneer of environmental ethics, will be the featured speaker at the eighth annual Goshen College Religion and Science Conference. Lectures: Holmes Rolston III, pioneer of environmental ethics – “Generating Life on Earth: Five Looming Questions” on Friday, March 28 at 7:30 p.m.; “Human Uniqueness: Spirited Mind” on Saturday, March 29 at 10:30 a.m.
GOSHEN, Ind. 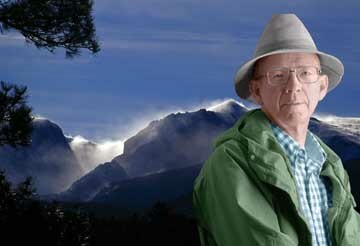 – At the eighth annual Goshen College Religion and Science Conference on March 28-30, the keynote speaker will be Holmes Rolston III, regarded as the pioneer of environmental ethics. Rolston will speak on “Generating Life on Earth: Five Looming Questions” on Friday, March 28 at 7:30 p.m. and on “Human Uniqueness: Spirited Mind” on Saturday, March 29 at 10:30 a.m. in the Church-Chapel. The lectures are free and open to the public. Rolston, University Distinguished Professor at Colorado State University in Fort Collins, Colo., was the 2003 winner of the Templeton Prize given by Prince Philip in Buckingham Palace which is the world’s most prestigious award in religion. This award recognized Rolston’s work on the intrinsic value of nature and on the relationship between science and religion. He is a past president of the International Society for Environmental Ethics. Rolston received a divinity degree from Union Theological Seminary in Richmond, Va., and a doctorate in theology from the University of Edinburgh. He also holds a master’s degree in philosophy of science from the University of Pittsburgh. While serving as a minister in the Appalachian Mountains of western Virginia, Rolston attended classes at East Tennessee State University, explored the biology, mineralogy and geology of the southern Appalachian Mountains, becoming a recognized naturalist and bryologist (the study of mosses). There he worked to conserve wildlife, preserve Mount Rogers and Roan Mountain, and to maintain and relocate the Appalachian Trail. Rolston’s books have been acclaimed in professional journals and the national press. The more recent are: “Genes, Genesis and God” (Cambridge University Press, 1999), “Science and Religion: A Critical Survey” (Random House, McGraw Hill, Harcourt Brace, with a new edition, Templeton, 2006), “Philosophy Gone Wild” (Prometheus Books), “Environmental Ethics” (Temple University Press) and “Conserving Natural Value” (Columbia University Press). He was an editor of the Encyclopedia of Bioethics. Past conference speakers have included Ted Peters, Philip Hefner, Robert Russell, John H. Haught, Antje Jackelen, George Ellis and Nancey Murphy. Conference participants include pastors and interested lay persons, as well as academic scientists, mathematicians, theologians and students.